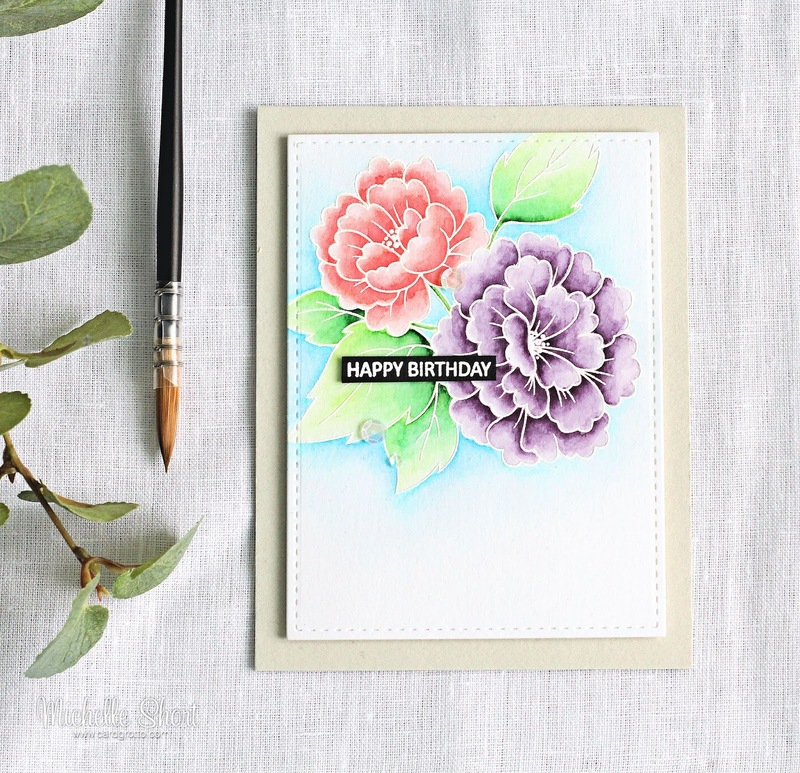 Hello there, today I have a card to share using two of the new sets from Clearly Besotted. 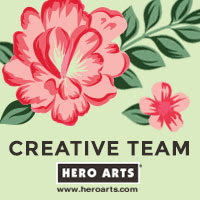 I have used On Your Day for the large floral image. The set comes with lots of fabulous wedding themed sentiments but as you can see, the image works really well for a birthday card too, if you change up the sentiment. I started off by taking a piece of TH watercolour paper and stamping the image using Versamark Ink. I then applied white embossing powder and heat set. The image was coloured using Tonic Nuvo Aqua Flow Pens (the colours I used are listed below the supplies section). I have used these pens before but for creating backgrounds, this time I decided to use them to colour the image and they worked really well. The image panel was cut down using the rectangle ME Femme Frames die and then added to a Fog A2 card base with foam tape. The sentiment is from the Tiny Type set. I stamped this with Versamark into a piece of black cardstock. I applied white embossing powder, heat set and then cut in to a strip. This was added to the card with foam tape also. To finish off, I added a few Iridescent sequins from Lucy's Cards. AQUA FLOW PENS: Purple flower - Lilac Blossom. Pink flower - Soft Rose, Red Apple. Leaves - Fresh Green, Aqua Splash, Evergreen Fern. Background - Azure Blue + Zig Clean Color 36 Light Blue. 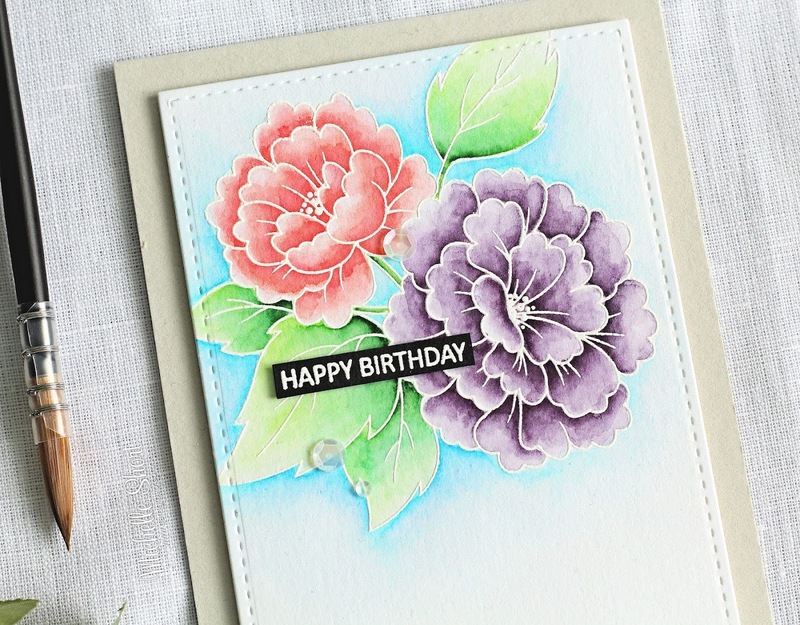 I really hope you are enjoying the new stamps from Clearly Besotted. I see a lot of you already have your orders :) Thanks so much for popping by to see me today. I really do appreciate it. I hope you have a great day! 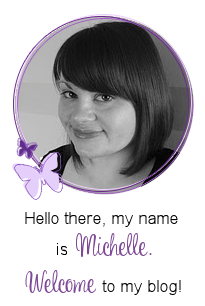 This is beautiful Michelle! Love your color choices! Love the dimension on this! What an absolutely gorgeous card. Fabulous flowers and amazing colouring. Clearly Besotted always do exceptional flowers and I think Jenny has really outdone herself this time. Think this one will have to go on my wish. Stunning card, beautifully coloured. Clearly Besotted shown at its best!